If you are the 'South of England Classic Motorcycle Show and Bikejumble' Show organiser and you would like to update or amend the details shown, please contact us. Thank you. 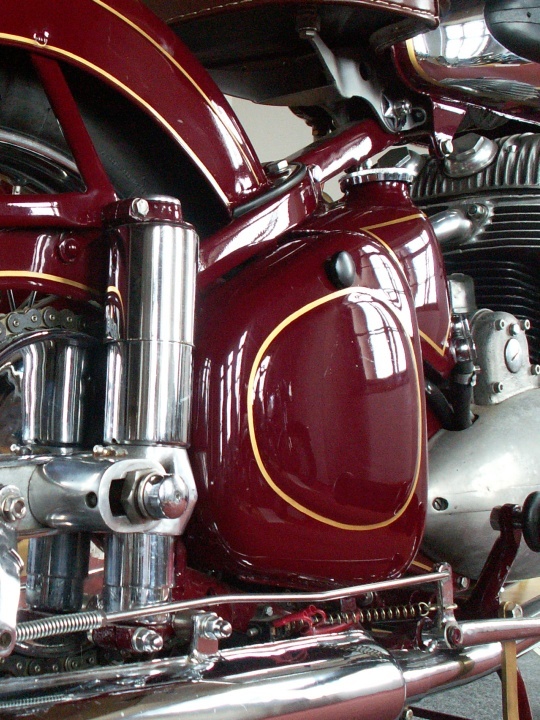 When is the next South of England Classic Motorcycle Show and Bikejumble? Sunday 27th October, 2019. South of England Classic Motorcycle Show and Bikejumble is listed under October 2019 Shows. Although we try to keep the information for this event as up to date as possible, we cannot guarantee that things haven't changed at the last minute, and we haven't been informed. Therefore, please contact the 'South of England Classic Motorcycle Show and Bikejumble' event holder directly to confirm all details (especially event name, dates and location) before setting off to Ardingly. The South of England Classic Motorcycle Show and Bikejumble is planned to take place at South of England Showground, Ardingly, Haywards Heath, Sunday 27th October, 2019. You may reach the event organisers on 01797 344277. This is a large indoor bike show for pre-1980 classic motorcycles, with Club Stands and hundreds of machines on display. The event uses five halls for the show and bikejumble. The substantial indoor and outdoor all-motorcycle autojumble offers new and used spares, bikes, clothing & accessories for sale, and BikeMart - a display-to-sell area which is free to private vendors. Cheap garage clear-out stalls are available at just £10 (must be booked). The Royal British Legion will be providing a helmet park in aid of the RBL. Parking is free, and well-behaved dogs on leads are welcome. There will be great range of catering options (previous events were attended by local vendors offering a free-range Hog roast, a fantastic Italian smokerie, a baker's stall, toasted sandwiches and real coffee in addition to standard burgers). Visit www.elk-promotions.co.uk and download your free entry form. Well-behaved dogs on leads are welcomed. Open: 10am to 2.30pm (last admission 1.30pm) Admission: Adult £6, seniors 65+ £5, children under 16 free.